There are two things bugging me I cannot fix (well easily) hence my hesitation of putting these back up. But because I use them in a lot of screenshots I get asked about them so here they are. so I cannot got at them easily. 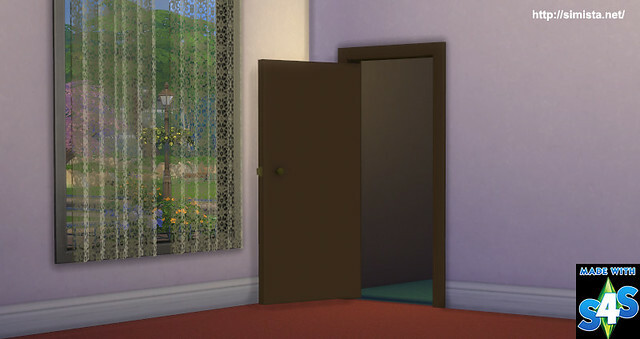 Secondly, I wanted to update the thumbs but again being merged means I cannot. As I sort of hacked these onto an empty frame because we cannot make doors yet I dont want to mess about with them any more than I have too, when we can make doors proper Ill make better ones. 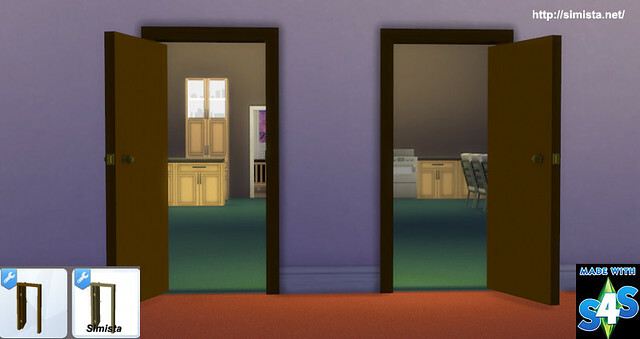 There are two of them found in build mode/doors each opening the opposite way. Hello! Thank you for these. They are much-needed :). The problem is that I can't find them in-game. 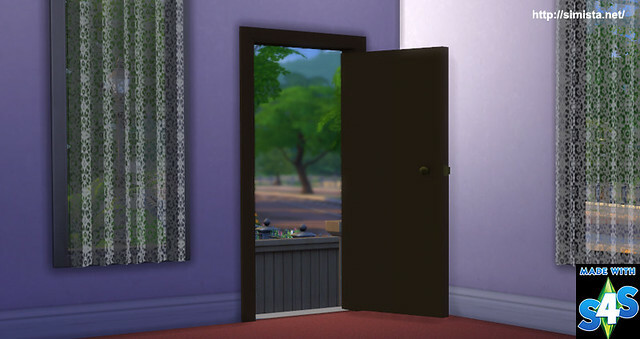 I am looking under Doors in build mode and can't see them :(.